There’s never been such a quagmire of debate in the vintage cycling world. This one question; Who has Merckx’s actual hour record bike? will cause hours upon hours of debate on many vintage forums. On Monday I’m planning on laying out all the information I’ve come up with. A very special Merckx Mondays. 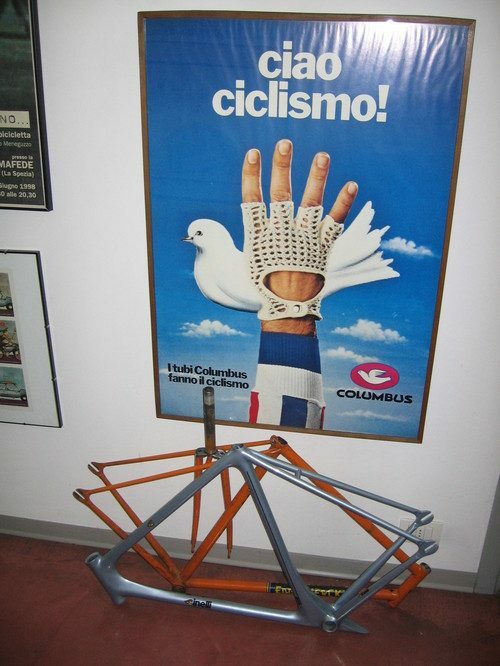 All this was sparked because Lodovico from Cinelli shot me this picture in an email. It shows the coveted Cinelli Laser track bike and a supposed Eddy Merckx hour record training bike. The frameset weighs an astonishing 1450gm! Lodovico is confirming more details such as the track end stamping, BB detailing and other characteristics of Eddy’s hour record bikes. Hopefully he’ll be sending me updates to include in Monday’s post. Check back on Monday for the full post and be sure to bring your facts and opinions to share!